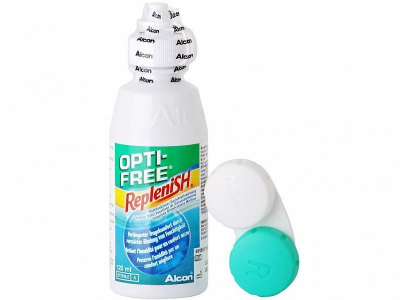 Opti-Free Replenish multi-purpose solution is intended for disinfecting and cleaning your lenses. 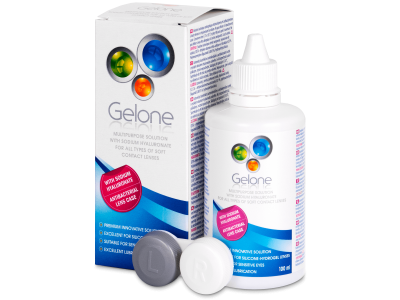 This innovative solution focuses on the preservation and moisturisation of lenses to provide greater comfort of wear. 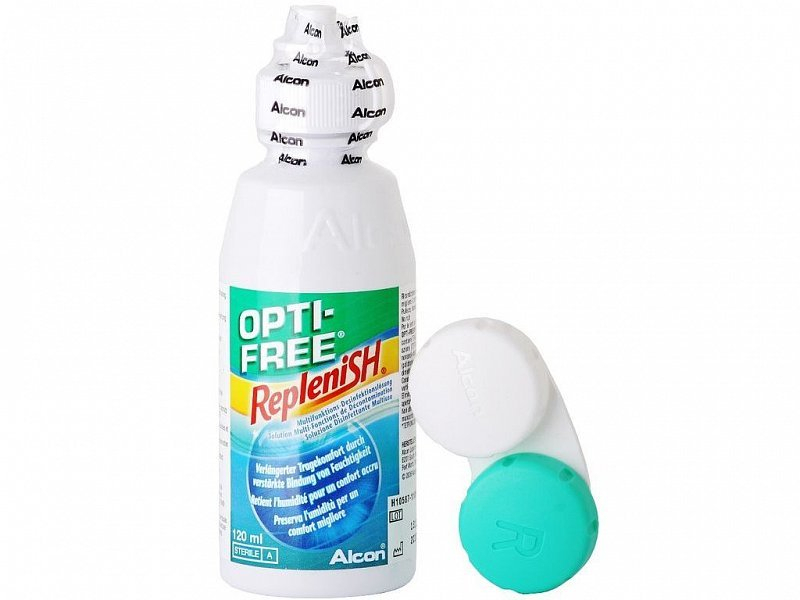 Opti-Free Replenish is an effective, multipurpose solution designed for disinfecting and storing soft contact lenses. 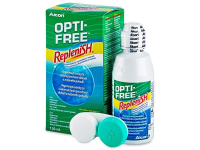 It was developed by Alcon based on the original formula of its popular Opti-Free Express solution. 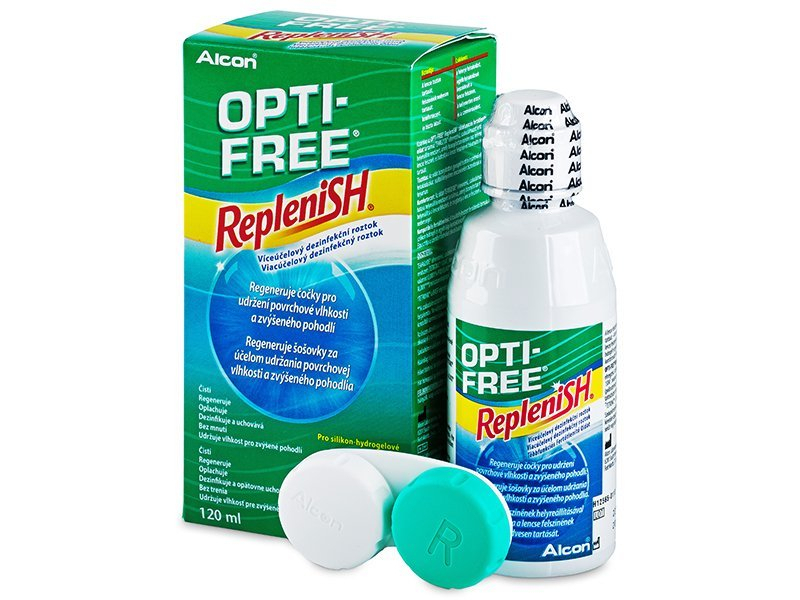 The new Opti-Free Replenish solution contains improved and updated cleaning ingredients to ensure maximum hydration and long-lasting comfort for contact lens wearers. 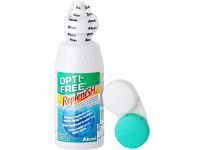 This package contains one 120 ml bottle of solution and one antibacterial contact lens case, perfect for your on-the-go lifestyle. Read more information about OPTI-FREE Replenish Solution, also available in larger economy packs.